Hey… I will be the 1st to say I AM TERRIBLE AT CLEANING (yes, it’s so bad I had to use caps..lol). 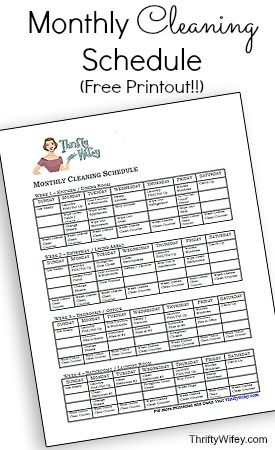 But printables like this Cleaning Schedule can help people like me, and those much better at cleaning to stay on task . Leave a comment if this is helpful for you! 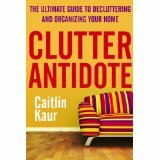 You can also download lots of kindle books on cleaning over at Amazon starting as low as free. You may use this printable for any personal use you like, but you may not sell it or distribute it. You may also link back to this post to have people download it. But please link to the post.. not the pdf. 1. Click here and it should come up as a pdf.. If you don’t have Adobe Acrobat (its free), just download it. I can not send files to your email, you need to download it here. And don’t forget to check out our two part series that helps Declutter Your Home in 6 Easy Steps. OMG! This is brilliant! I swear, the only reason I want to be rich is to have a housekeeper because I HATE cleaning!. This breaks it down into smaller more manageable jobs. Love this cleaning list. I can never get myself organized, and end up doing a "deep clean" more than I would like to.